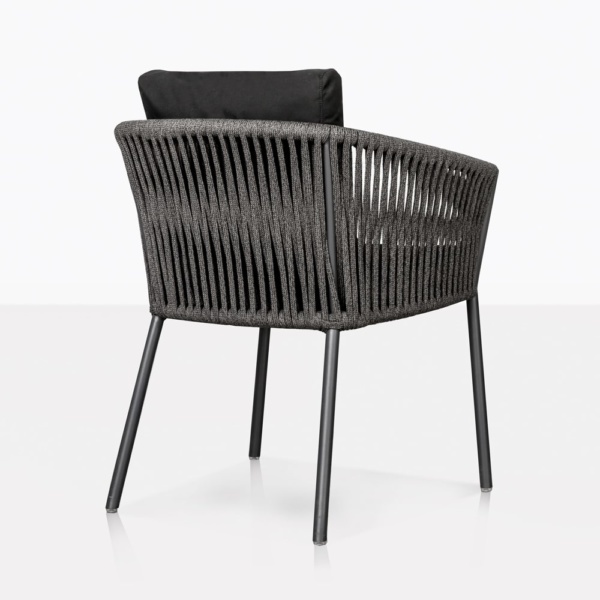 Style, strength and serenity are all qualities present in the marvelously modern Washington Rope Outdoor Dining Chair. 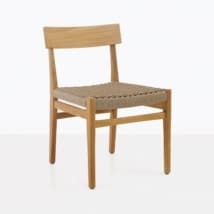 Our Washington Dining Chair gives you the ability to relax in the luxury you deserve in top quality patio furniture from Teak Warehouse. Mid century beginnings blended beautifully with contemporary materials means that your desire for the finer things in life will be met with the splendid and sturdy outdoor Washington Collection. 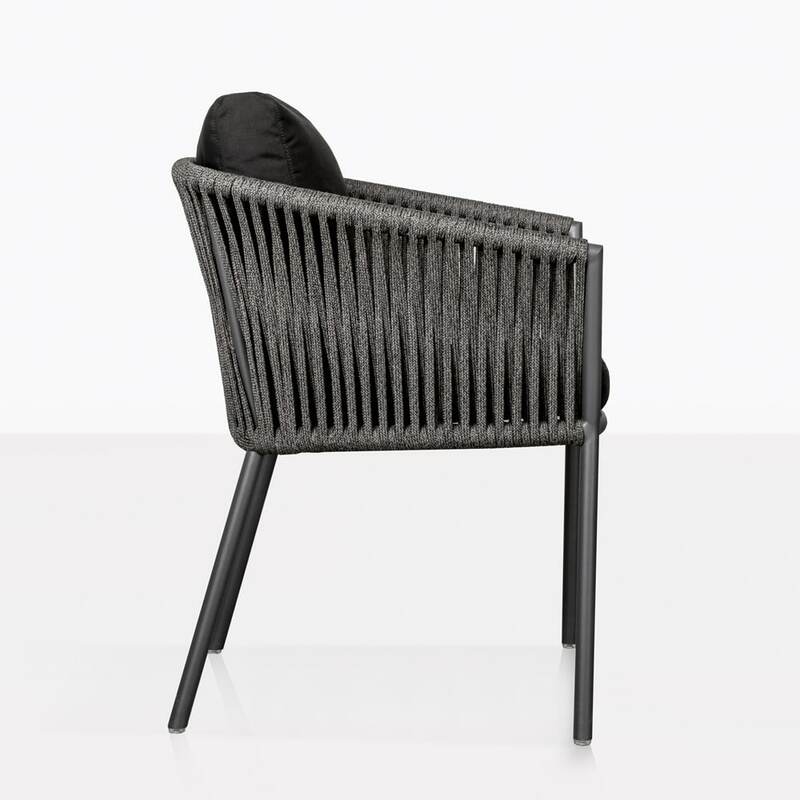 Washington is all about best quality in stylish furniture. 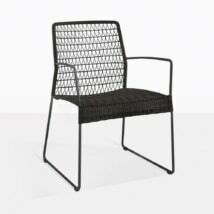 The 5 piece outdoor collection features the modern outdoor Dining Chair, a stunning Bar Stool and the deep seating collection of Sofa, Loveseat and Club Chair. 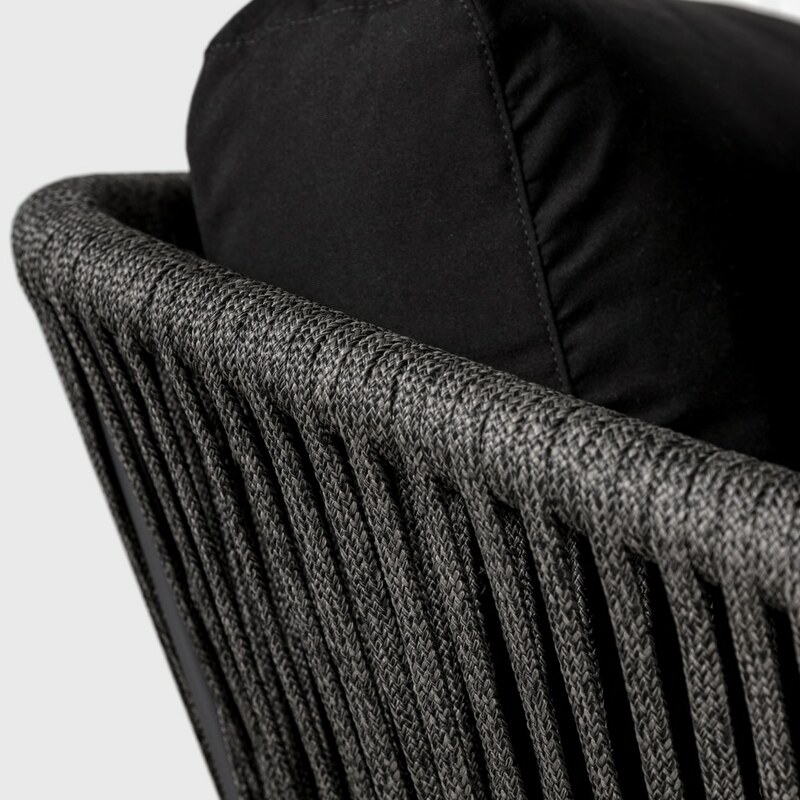 These pieces are easily identified by their style: simple, chic dark charcoal frame with slim legs and curved arms, wrapped with exquisite European Rope in mixed gray, and with a utterly comfortable black Sunbrella® cushion on the seat – this is a unique look that our customers love! 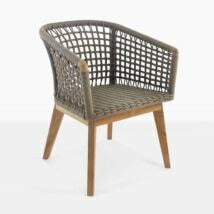 The Washington Rope Dining Chair is an important part of this beautiful outdoor patio collection. 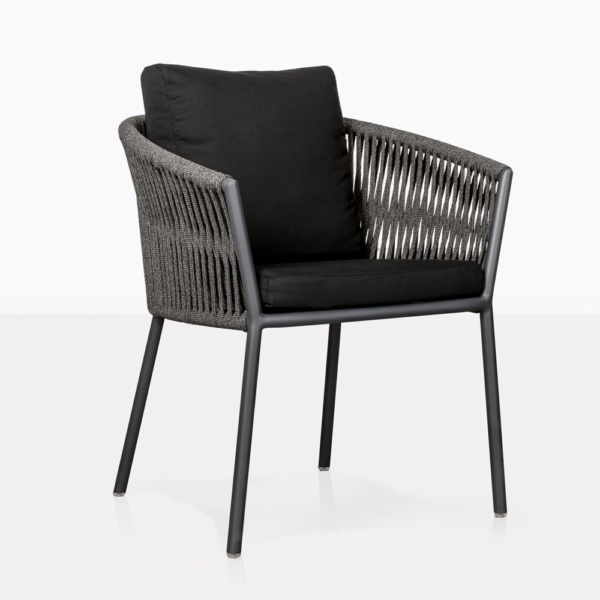 Whether added to the full patio set or placed simply around a dining table on a modest balcony, Washington Dining Chairs epitomize comfort and the desire for contemporary architecture in your outdoor seating. Place this designer Dining Chair around a more rustic table, such as one of our Reclaimed Teak models for a fabulous and unique look on your patio! Make your patio area an incredible cohesion of Washington with the Washington Rope Chairs framing a big bold table, and the entire deep seating collection from Washington opposite, perfect for reclining after you’re done with the family lunch! Why limit yourself? 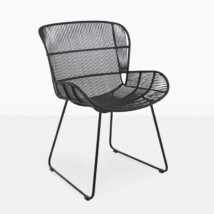 Try the Washington Rope Outdoor Dining Chairs around your indoor dining table for a sleek and chic look you will love! Get ready to enjoy your outdoor space with the Washington Furniture Collection, call us now to order your piece of luxury or shop now online.